to prevent the neighbored properties from changes. Looks like I can't nest Grade limits. 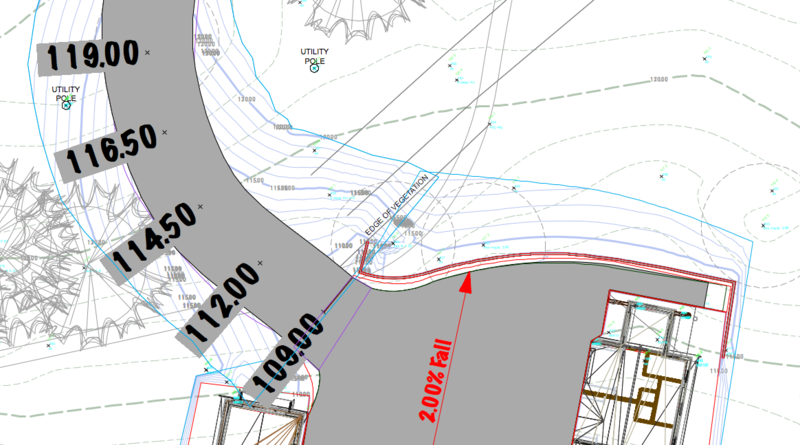 I did my large property Grade Limit and a smaller Grade Limit around the building Pad. Modifiers on site around the Building, limited by the large Property Grade Limit. I may have had both Grade Limitss set to proposed. Would it work if I set the large GL to existing ? If this does not work (nesting GLs), how should I do this ? Do the large GL around and try to control all Modifiers with (tedious) Retaining Edges ? VW 2018 proposed Contour editing. would be reseted when I try to pull it over to the other side where it flows around the Grade Limit. Looks like even the changes made to the Contour outside of the Grade Limit would be reseted. 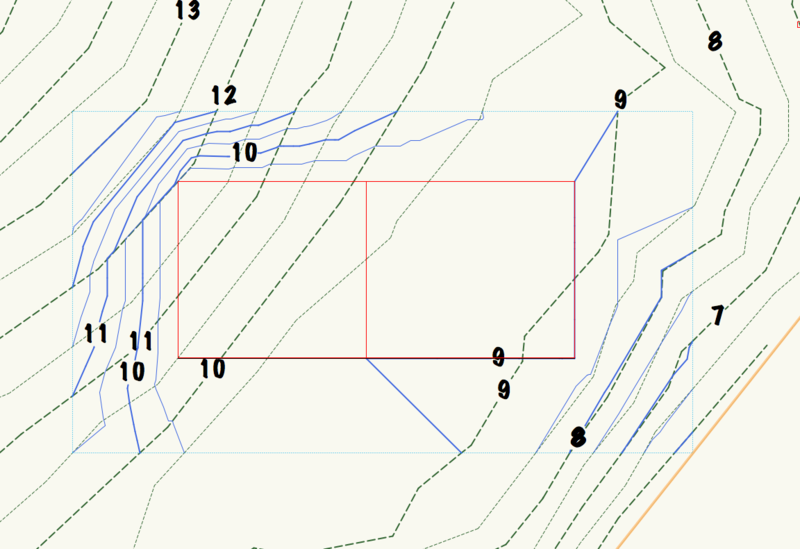 So can't I use a Grade Limit inside my property, when I want to Edit Contours ? Or do I have to edit Contours first and create the Grade Limit Modifier after the Contour edit only ? Ahm, I see I already have 2 Grade Limits nested and set the larger one to existing. So it "seems" to work this way for my Pad. But is it recommended or does really work that way ? changed by proposed Modifiers ? @zoomerI've never placed a grading limit on the property line, interesting. I understand that you can place multiple grade limits within each other and I've done this before. I would love to see VW provide an option when creating a pad to create and offset of 1mm to an adjacent pad. I find that when I'm working on site models that pads are often located close to an adjacent one as seen in the image below. I recently did some work using the Nurbs road tool and set the grade limits to create a 3:1 slope which can be seen in the image. This is a huge benefit for anyone in land design. Zoomer my understanding is a pad forces contours around itself and this is expressed in how the grade limits are set. I think that controlled grade angle is VW Landscape only. Yes, the Pad will make the crossing Contours run around, that's fine. I just wonder why it deleted my Contour changes outside too. Maybe I am not allowed to modify any parts of a contour inside of the Pad. There is a lot of guessing how VW will behave in many of such cases. Seems I have to test out all of these. Another thing with Contour Editing. Normally you would have your Contours aligned with the Mesh. Because I have a deviation of 17 cm/67 cm for 1.0 and 0.5 Contours, they don't match. Would I have greater Control if I set a Contour offset and Mesh and Contours would match ? while when not matching, just interpolating the Mesh ? I don't edit the contours I do add 3d loci as suggested in @Benson Shawvideo. Once the contours have been fixed or smoothed I'm ready to start applying modifiers. Your right Zoomer that this type of work is a bit tricky and your never confident of your outcome. When it does work it's wonderful. PS on a side note I'm finding my work is requiring good elevation data on 5-30 acre sites and I've been looking into Lidar data which is free for many areas on Vancouver Island (where I operate), it looks pretty promising and can be much better than traditional survey data. I'll post on this later today. Editing (Source) Contours is so intuitive for me. and control and refine my Site Model with new Proposed Contour Editing. Seems not so easy as thought. I even had the ambition to create an (unnecessary) existing + proposed Model. with real 3D Polygons only. proposed Contour Editing before applying a few Pads. I haven't found a setting for Roads to do what I need so far. - use manual grade limits to control slopes around, if these are necessary. As far as I tried, Curbs tops were always standing over the terrain. I have smoothly sloping terrain and a longer parking area in slope direction. The LA still sloped the parking lot but far less steep than the terrain. 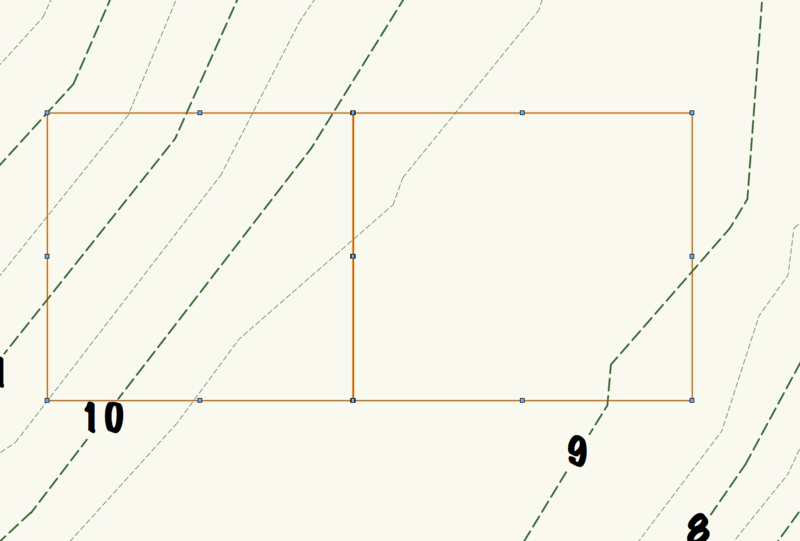 So I thought I will increase the distance between the crossing Contours in proposed Contour Editing Mode. the newly generated proposed Contours look like crap and more important, the result is off in height ! and lay over the Mesh in Top Plan View ! (I gave up my real world Site Model Z location, on a Layer pushed down by -Z. Moving proposed Concours over more than 1 source Contours isn't an issue ! it is not a problem in itself. don't use such Source data directly. so that your generated Edit Contours will fit the Mesh created from Source Data..
to get it done in a reasonable time frame. Contour Editing worked fine in most cases. It failed for me when I tried to do larger changes where Contours flow around a Pad with grade limit. but need new positions and pull Contours over a different Edge over corners. I think it would be possible if vertical alignment of contours would be possible. there is no chance you could manually align the Contours in their proper order again. So I am not sure if it is really suited when working with many Pads, to clean the Site between the Pads. If Pads could also touch, I think I would have used these to edit the proposed Site. But that way it would made my Mesh n-times more tessellated and a clean Mesh had priority for me. On the other side, Editing Source Polys works great in VW 2018. I had no crashes with the new Site Model and Meshing. I really like it. @zoomerI would love to see an option that when placing a pad or texture bed beside another existing pad or texture bed that the boundary would offset automatically (lets say 1mm) to avoid overlaping site modifiers. The offset would become the new snapping point and would save some time and frustration. That is what I thought too at one point, as that do not touch/overlap restriction seems to stay. VW should do that for you. it crosses the Site Model edges, that is too much Mesh Chaos for me. Does the "Add Surface" command do that? 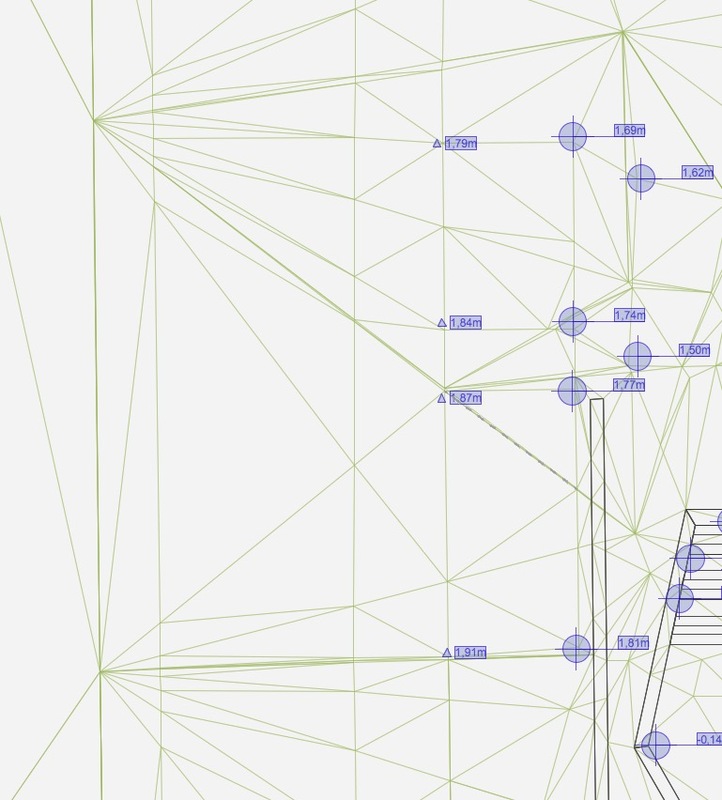 Its just a polyline, so you might have to draw a poly, add surface, and then convert to site modifier? @RossfordGood idea, hadn't thought of that. I usually make all my site modifiers by converting them from polylines. So your suggesting that the polyline is then offset (say 1mm) then add surface? I gave part of your suggestions a shot, made two rectangels which snapped together,>offset 1mm> converted them both to site modifers (pads on the same elavation)> then through a grade limit around them. It works. How do you think the add solid would help? Given that you can't have site modifiers such as pads touch one another shouldn't there be a mechanism in place to prevent this like a default 1mm offset? I used the Offset tool so far for Pad+Limit. thanks for the example Pad+Limit. I had expected the interpolation between Pad and Grade Limit being worse. It is not as artificial as I thought it would be. When there are two or more nested Grade Limits, all of them take effect. But note that if there are two or more intersecting (partially overlapping) Grade Limits, they will be perceived as a single Grade Limit when applying the modification. According to the concept the existing model presents the untreated site surface before modifications. However, one may want to have a modified existing surface so it is possible to have modifiers that work on the existing model. Note that when a modifier is set to modify the existing, it will modify the proposed as well. So if there is a Grade Limit set to existing, it will also affect the proposed model. Currently the contour edits are intended to work only outside the modifiers (such as a Grade Limit). Hopefully, the next 2019 version will allow editing the contour parts that fall within a Grade Limit. In other words, the modifiers (being external definitions of how to modify the TIN) will override the contour edits. A Grade Limit alone doesn't affect/change the TIN geometry but it still introduces new point and segments in the TIN which can be useful in some cases. So if first a contour is edited and after that a Grade Limit is created over it, it won't override the contour edit. However, if inside this Grade Limit are created one or more Pads (no matter whether they are created over the edited contour or not), the contour edit will be overridden. The reason is that when there is a Grade Limit around a Pad, the TIN area between them will be interpolated/smoothed (to get a smooth transition between the pad modification and the rest of the TIN, where the extent of the smooth transition is specified by the Grade Limit). Thanks a lot for the detailed answers bozho. I rewatched the new 2018 Site Model videos, also very good and got a better overview. But your answers precise it. (for versioning). That's why I tried without thinking. when the total Site GL was added, it looked like the smaller building cutout GL was inactive. So they sum up to the biggest GL. I saw the overlapping GLs in the video, now it is clear how it works/behaves. So if there is a Grade Limit set to existing, it will also affect the proposed model. I still have my large Site GL) active (now) in existing. It does no more have bad influence on the proposed Building Cutout GL so far. It controls the proposed Building Pad fine. But forgot what happened to the proposed Contours that I edited outside, over the existing GL. The videos made me excited about Modifier usage. to reach some doors or exits and such things. for Texture Bed (+ GL or Retaining Edge), right ?